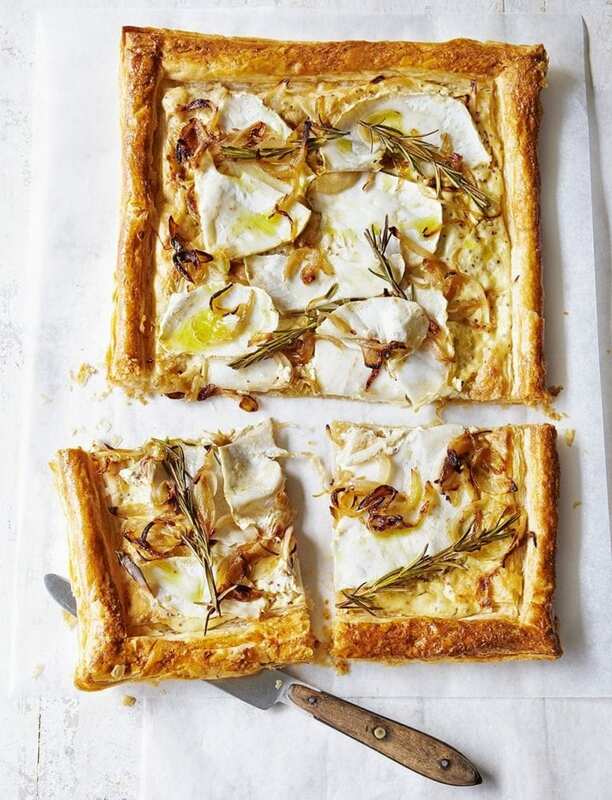 The wholesome, nutty flavour of the celeriac pairs perfectly with hot mustard in this easy tart recipe. Heat a little oil in a frying pan. Slice the onions and fry gently for 15 minutes or until soft, stirring now and then. Meanwhile, slice the celeriac finely using a peeler, then drop into a bowl of water with a squeezed lemon half. Heat the oven to 200°C/ fan180°C/gas 6. Unroll the pastry onto a baking sheet, then score a 2cm border. Bake for 15 minutes. Remove from the oven and press a baking sheet on top to flatten. Zest the remaining lemon half, then put in a bowl with the crème fraîche and mustards and mix. Season. Beat the egg, brush over the pastry border, then spread the crème fraîche in the centre. Dry the celeriac on kitchen paper, layer over the crème fraîche, then top with the fried onions, rosemary and a drizzle of oil. Bake for 15 minutes. Grate the rest of the celeriac and toss with olive oil and rocket leaves. Season, then scatter over the tart. I love this recipe because it’s a speedy way to supe up supper.